Quote: After a long day at work, you’re heading home. You open an app in your smartphone and tap a button on the screen. A dozen miles away, your apartment comes to life. Smart bulbs light up, the smart thermostat starts to heat the room, the smart kettle begins to boil the water for your evening tea. A smart home seems so convenient! But every coin has two sides, and the flip side of this one is that smart homes rely on a lot of things to work. And because every single thing is subject to malfunction, the more third parties you use, the less reliability you get. 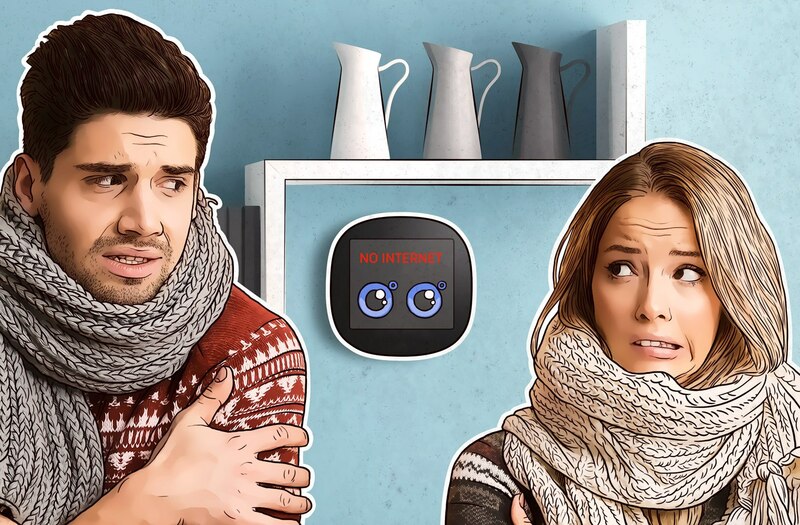 A few days ago, Twitter saw a surge of complaints from owners of Netatmo thermostats who suddenly lost the ability to change the temperature in their houses. That was a result of some Netatmo servers going down, and the remaining servers not being able to handle all of the user requests. Netatmo thermostats have a manual override mode for such situations, and it’s supposed to allow users to change the temperature manually, not using the app. But it seems that for some customers, it didn’t work, and so they were left in their freezing homes with pieces of brilliant but completely useless tech. There’s another dimension to that problem: Dependence on third-party providers creates even more points of failure. For example, some smart devices are controlled with a very interesting service called IFTTT (If This Then That), which is hosted on the Amazon Web Services platform. When a glitch in Amazon’s infrastructure brought IFTTT servers down last year, users were left unable to turn on the lights or do anything else with their smart home appliances until the servers were back online.